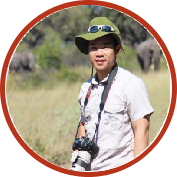 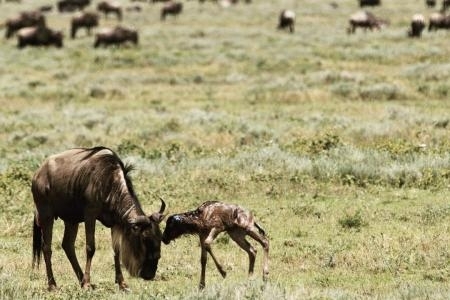 The miracle of life is the main theme for the migration herd on the Ndutu Plains. 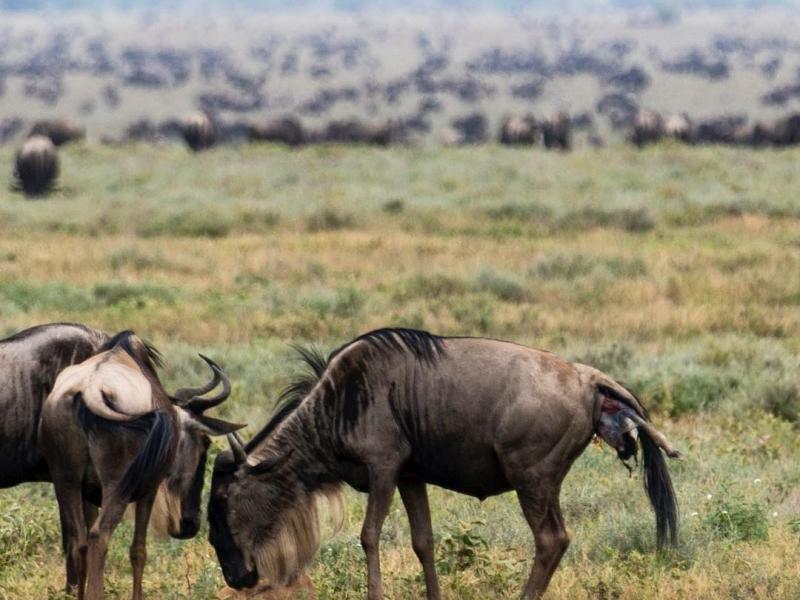 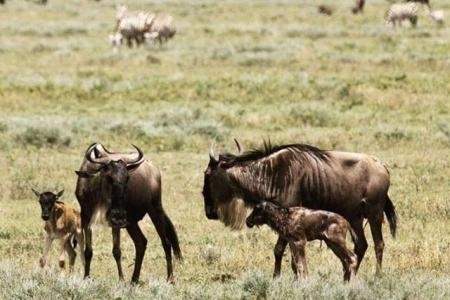 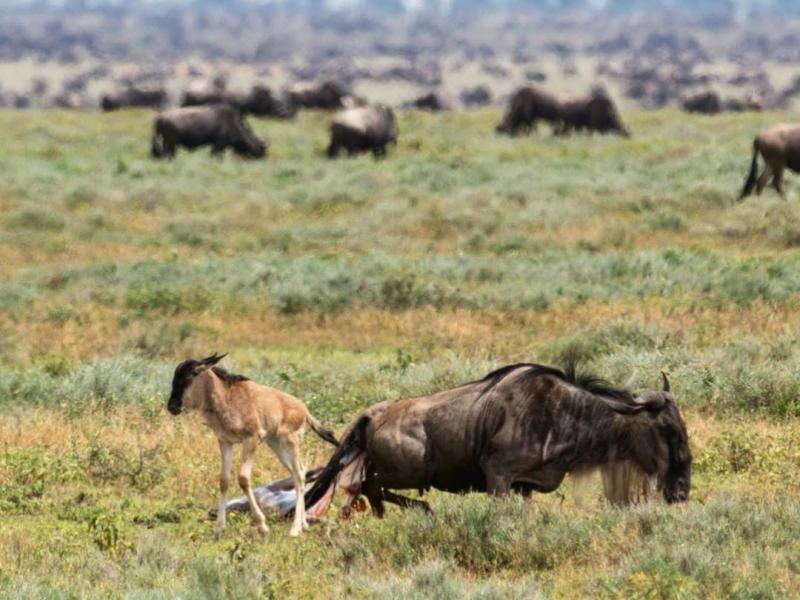 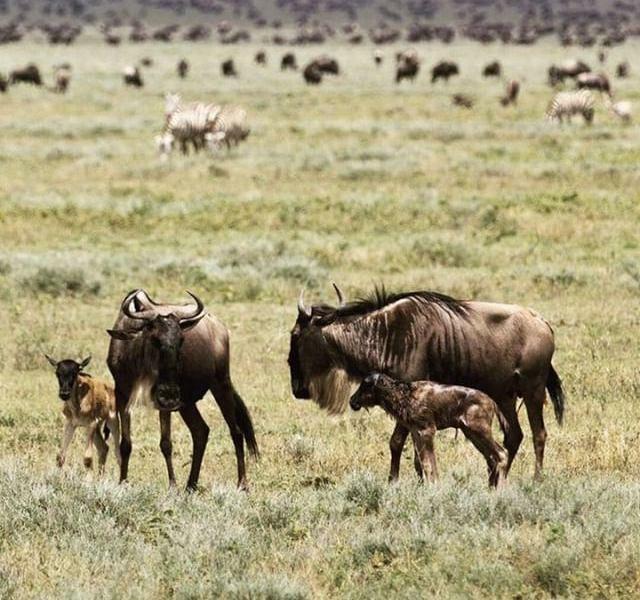 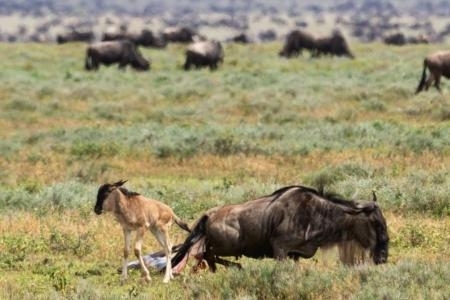 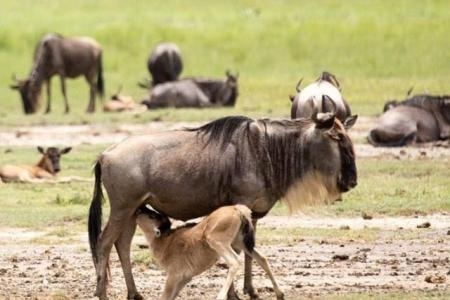 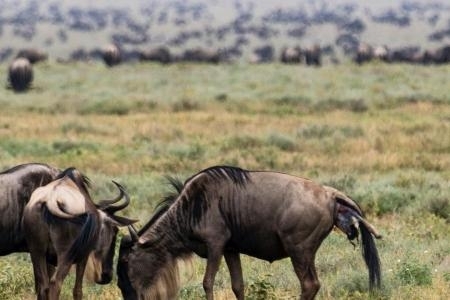 With the arrival of the rains on fertile volcanic soil, almost half a million wildebeests calve their young, mostly synchronised in a two week period. 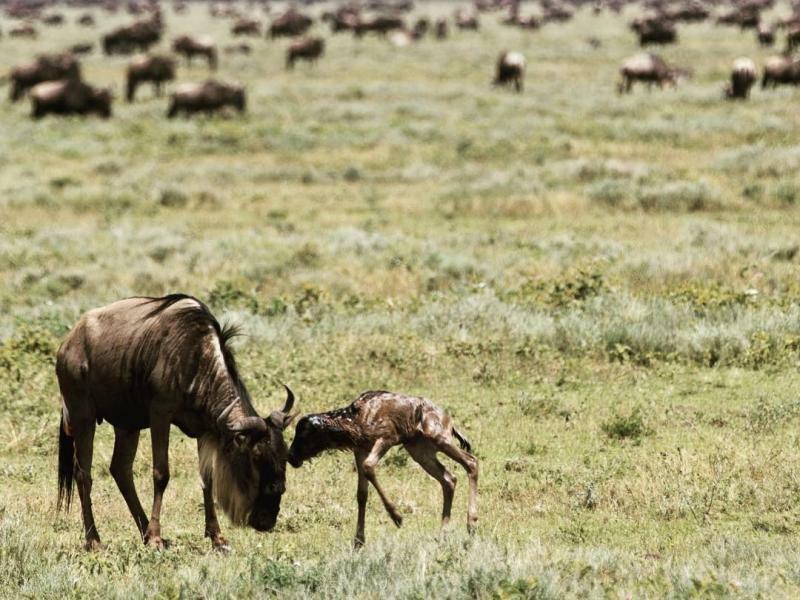 The calves quickly find their footing and can sprint within 15 minutes after birth.